Select Stone: Required Choose Options Pink CZ Garnet Cabochon 16" Garnet Cabochon 30"
In Greek mythology Eros is the God of Love, Son of Aphrodite. He evokes the creative and sensual yearning of Love and Desire. 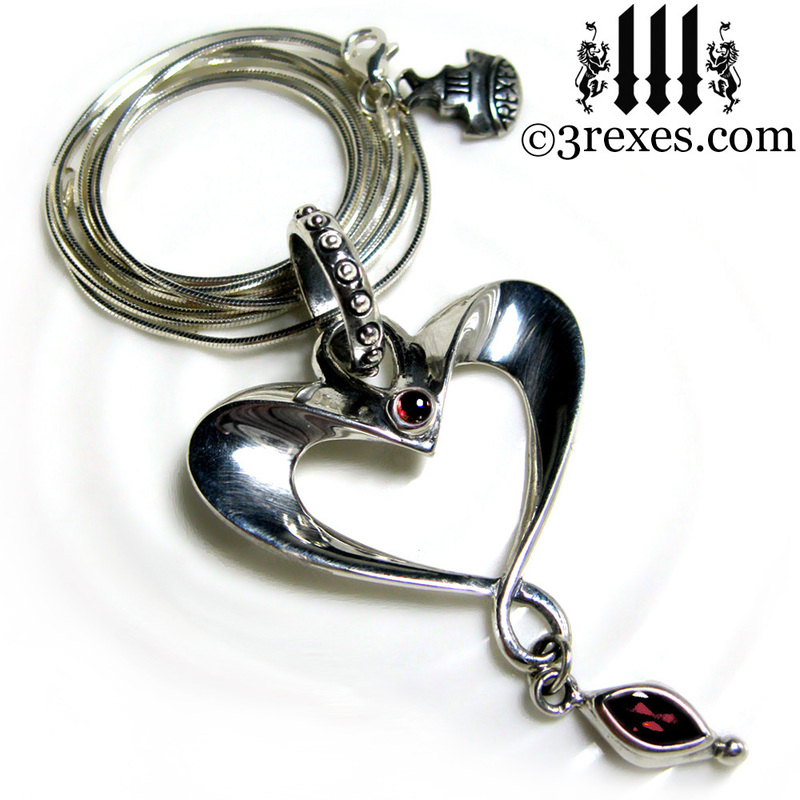 I used smooth Art Nouveau styling to enhance this unique sterling silver heart with marquis cut stone dangle. Serpentine snake chain cradles a rotating studded wheel and articulated heart made from 3 moving parts! 3 rexes is my favorite! The necklace and ear rings were lovely. Will definitely be making future purchases. Very fast shipping. Thank you, Tara -- you are so great to work with! I love wearing this necklace! Eros Heart Necklace - I love wearing this necklace, it feels great on!